Known round the continent as the most famous blogger in Africa, Linda Ikeji has set a template for future bloggers. 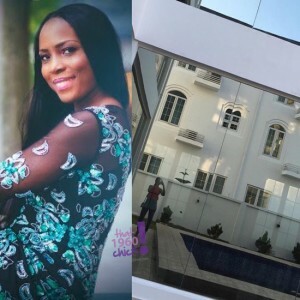 Known as the loudspeaker of Linda Ikeji, her younger sister, Laura Ikeji announced on her Instagram page that her sister (Linda Ikeji) has just acquired a new mansion. It?s been reported that the home is a six bedroom property worth N450 million naira and Linda had already moved in. See photo after the jump: ?